Special Ed is the performing name of Edward Archer (born ca. 1973), an American hip hop musician. Hailing from Brooklyn in New York City, he is identified with East Coast hip hop. In his own right, Special Ed is probably best known for the song "I Got It Made", produced by "Hitman" Howie Tee and released in 1989 when Ed was just 16. 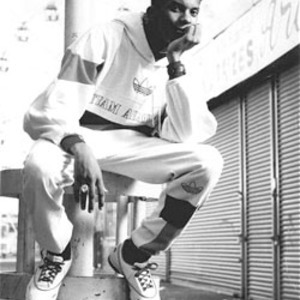 He was later a member of Crooklyn Dodgers, an ad hoc group who came together to perform for the Spike Lee films Clockers and Crooklyn, and he performed "Crooklyn" with Shillz on the 2003 compilation album MuskaBeatz. Hailing from Brooklyn in New York City, he is identified with East Coast hip hop. In his own right, Special Ed is probably best known for the song "I Got It Made", produced by "Hitman" Howie Tee and released in 1989 when Ed was just 16. He was later a member of Crooklyn Dodgers, an ad hoc group who came together to perform for the Spike Lee films Clockers and Crooklyn, and he performed "Crooklyn" with Shillz on the 2003 compilation album MuskaBeatz. Snoop Dogg counts Special Ed as an influence on his own work. DJ Premier produced a remix of his track "Freaky Flow."